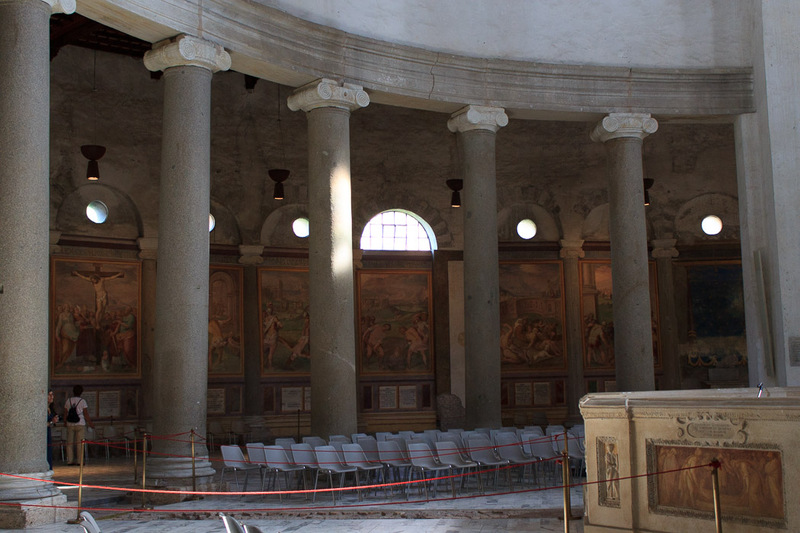 Santo Stefano Rotondo is a church-in-the-round with totally morbid paintings on the walls. It is the national church of Hungary in Rome, dedicated to Saint Stephan. 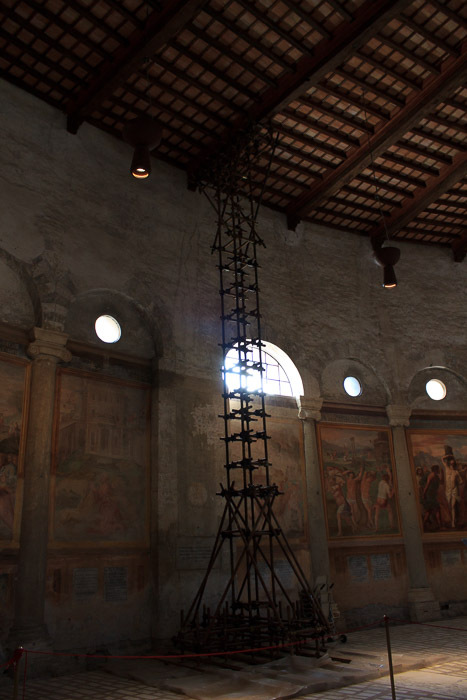 The walls of the church portray 34 scenes of martyrdom, each with an inscription explaining the scene and giving the name of the emperor who ordered the execution, as well as a quotation from the Bible. Sometimes, a Tourist in Rome just runs out of gas, though. I must have been in a bad mood when I visited the church (I had waited outside for about 30 minutes for the church to reopen for the afternoon) because I was not in much of a mood to take photos of this church; it did not impress me much. I think there is much more to be seen in this church; I wish I'd been in more of a mood to see it when I was there. 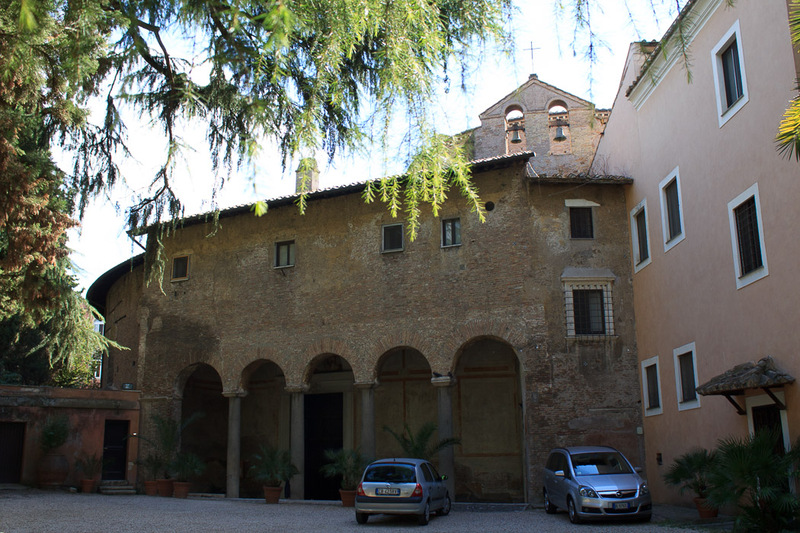 This church was converted from the ancient Castra Peregrinorum, a military base where foreign troops stationed in Rome were housed. 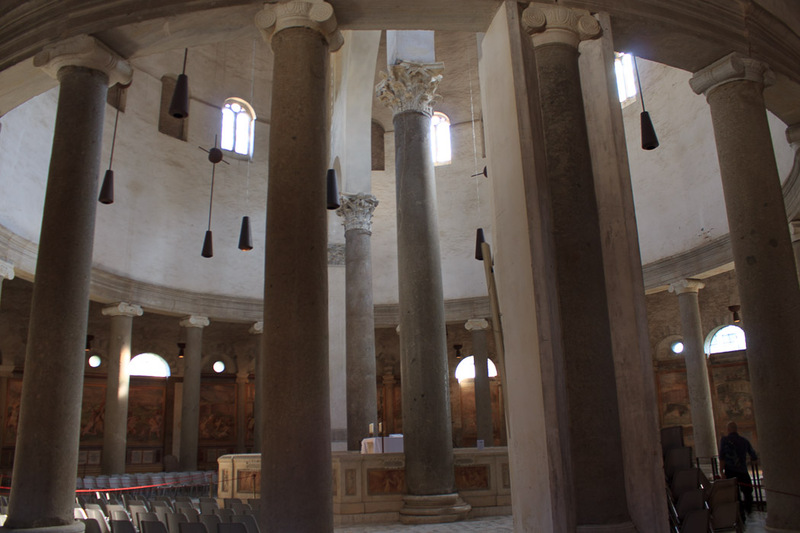 See all Santo Stefano Rotondo photos.